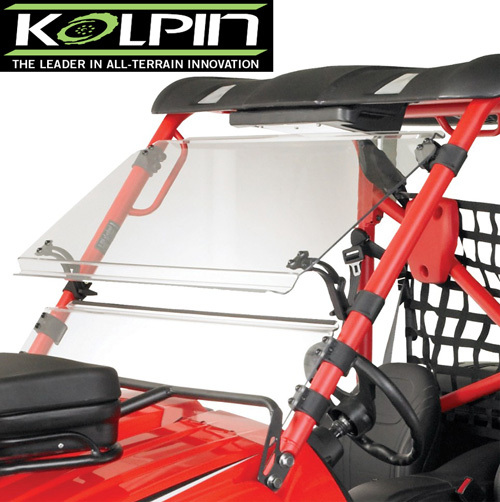 Versatile three-position tilt mechanism permits airflow into the driver compartment! For the perfect amount of ventilation at all times! Extremely durable injection molded clamps. All stainless steel, black coated finish hardware. Opens 3" or 5 1/2". 1/4" abrasive-resistant GE Lexan MR10.Easy installation. Trailer-able in closed position. NOTE: Open position is for low-speed air flow only. Fits Kawasaki Teryx 2008-2009 models.